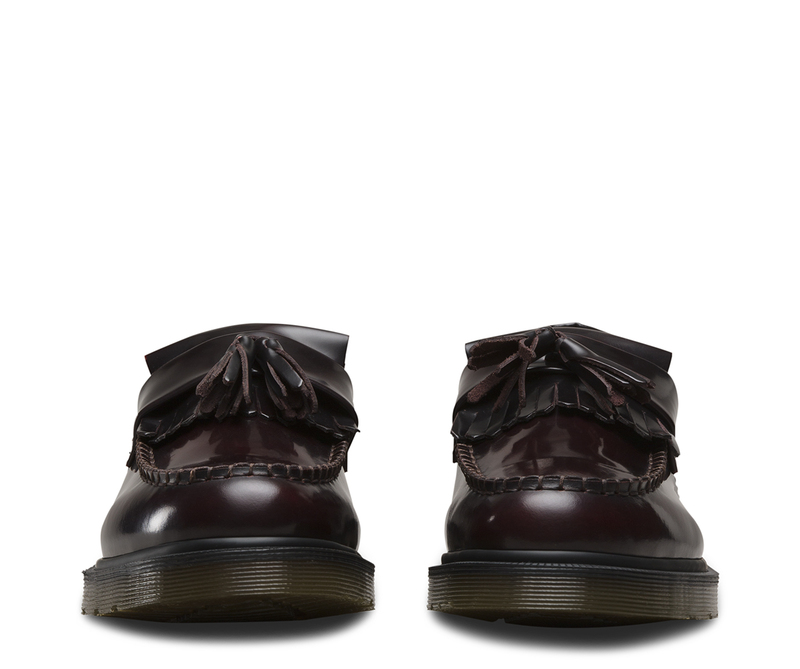 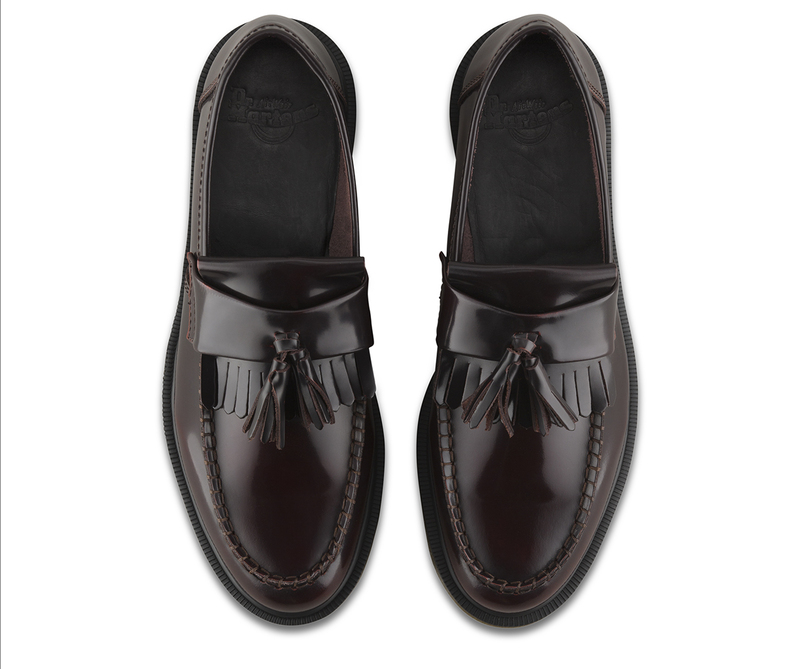 The Tassel Loafer is a subcultural classic and is offered here in Arcadia leather which is a traditional grain leather, with its rub-off surface polished away to reveal an undertone. 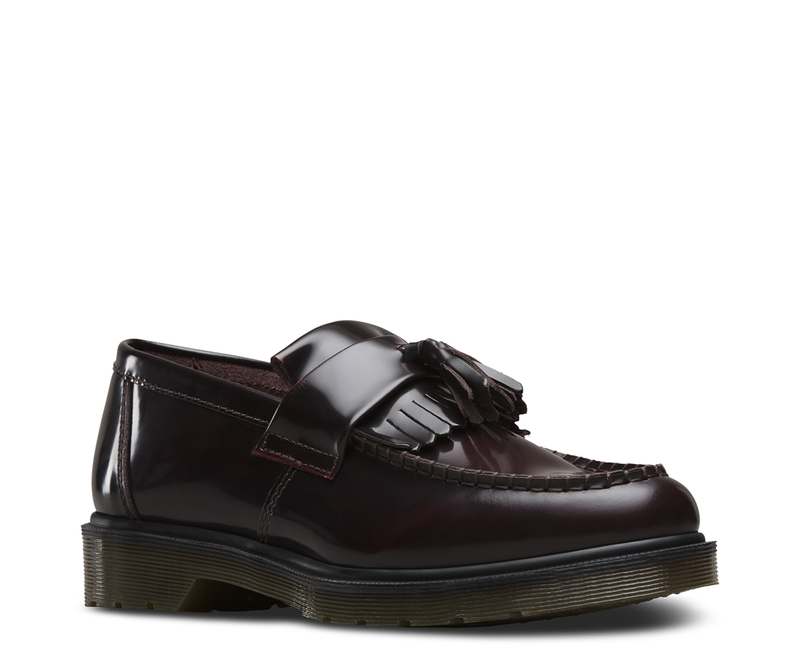 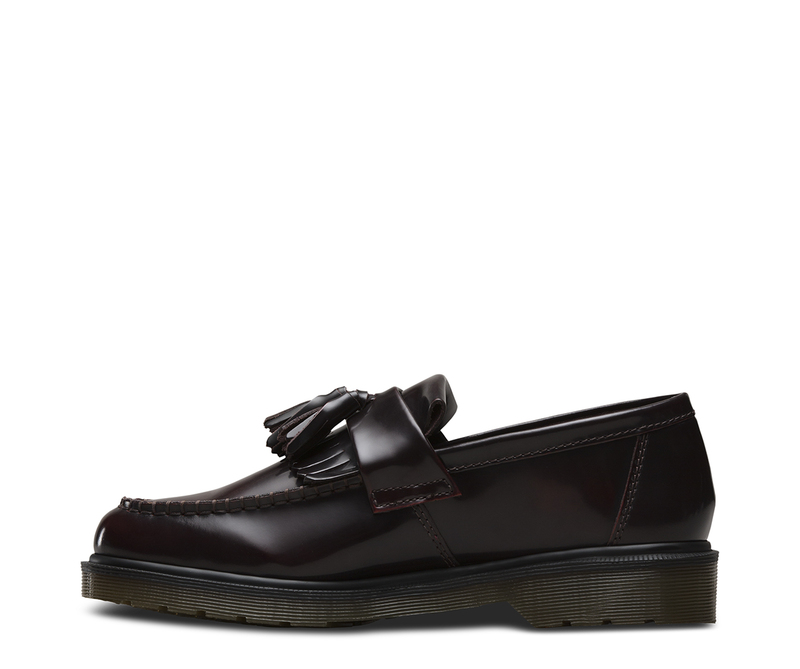 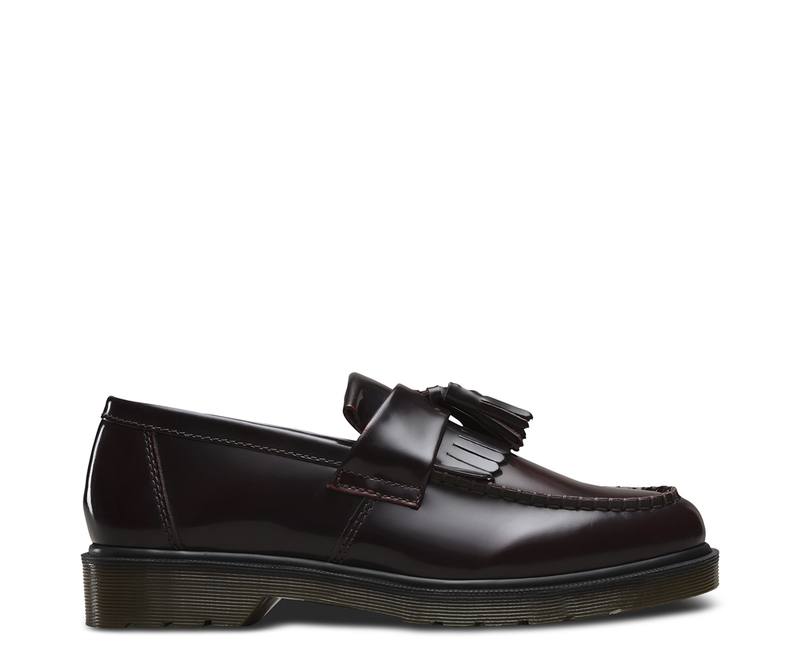 The classic tassel loafer in Burgundy Polished Smooth leather is made with Goodyear welt meaning the upper and sole are heat-sealed and sewn together. 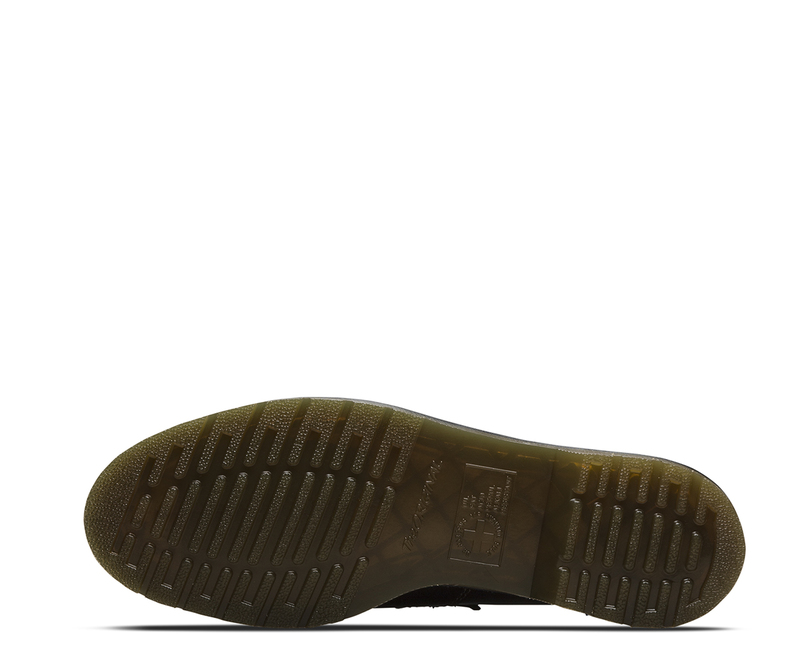 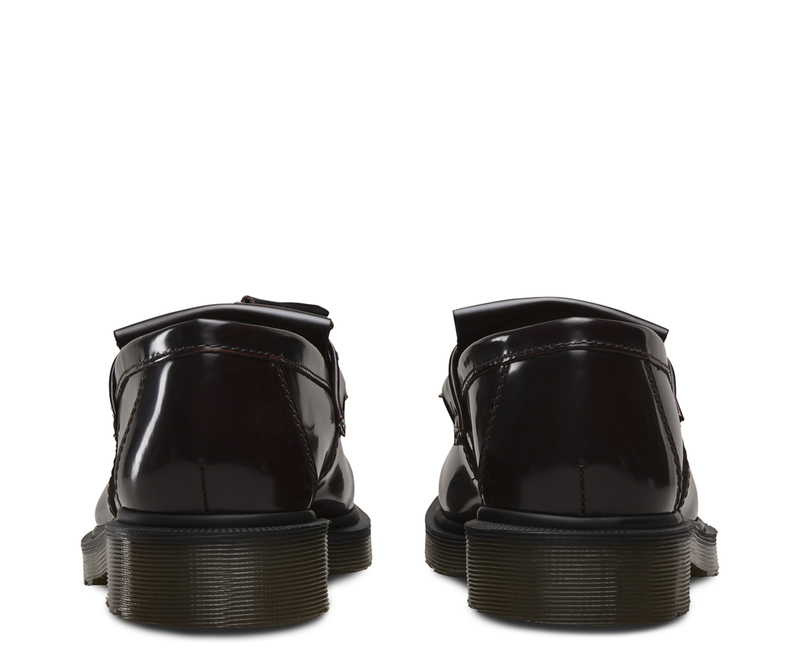 The Classic Dr. Martens air-cushioned sole is oil and fat resistant and has good abrasion and slip resistance.